The donation benefits Nepalese leasehold forestry groups, many of whom are women, who grow aromatic plants for essential oil distillation. The Shoppe’s ‘Oil into Water’ donation is part of its ongoing global education initiative, which donates 2 percent of all essential oil sales to support global sustainability education projects in botanical production for the essential oil industry. Further donations are planned, which will fund needs identified by the groups within the forestry leasehold programs, including 25 women’s groups such as the Jana Jyothi CFUG, Nandeshwar CFUG, Radha Krishna CFUG, Laxmi Leasehold CFUG, Shiva Parbati CFUG and the Shambala Herbal Processing company. Donations will support initiatives like improving quality seed and propagation materials (specifically palmarosa seed, German chamomile seed and lemongrass slips); protective clothing to prevent injuries from scorpion and snake bites when hand-harvesting aromatic plant crops such as lemongrass; and further development of organic production and official certification of essential oil crops. About American College of Healthcare Sciences : Founded in 1978, ACHS.edu is a Portland, Ore.-based, accredited college offering online, on-campus, and study abroad integrative health education. With undergraduate and graduate degrees, diplomas, certificates, and continuing education units in integrative health, ACHS makes holistic health and wellness education accessible to a diverse community, including healthcare professionals, military students, stay-at-home parents, and lifelong learners. Specializations include aromatherapy, herbal medicine, holistic nutrition, and wellness. 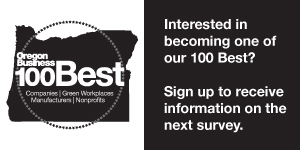 ACHS is a Certified B Corporation® and was ranked five of 100 Best Green Workplaces in Oregon 2018 by Oregon Business magazine. ACHS is also accredited by the Distance Education Accrediting Commission (DEAC), which is recognized by the U.S. Department of Education and by the Council for Higher Education Accreditation (CHEA).